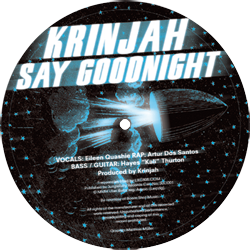 Say Goodnight is a Krinjah tune as the Jungle people like. A classical soundclash tune with a nice soft vocal intro to ignite the anticipation of what will happen at the main part. A real Krinjah explosion of breaks and snares targeting directly at the feet and legs of the crowd. Named once as Golden Boy of Ragga Jungle, Krinjah shows with Say Goodnight anew why he can give fresh impulse to the scene: tricky programmed beats without losing the track to the dancefloor, cool ideas of sampling as in this case his own Canadian background all mingled sometimes with a little ironical pop appeal makes him an inimitable musician in his genre. The current release on Junglelivity features a couple of friends from his Montreal playground among them the Reggae legend Hayes Kali Thurton of Dub Inc., the rapper Arthur Dos Santos or even Eileen Quashie a female singer with roots in Ghana. 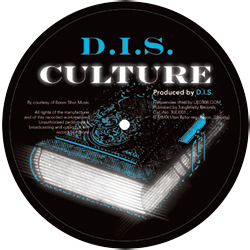 Culture on the flip side is a purely instrumental tune with a catchy melody which focuses on the essentials of Jungle music itself - to get back into the sound and to develop it without featuring any famous Reggae vocal sample track. Therefore Culture combines nuances of past Oldschool feelings with a modern and very clear Jungle beat arrangement.